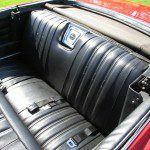 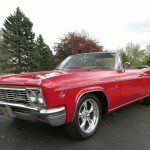 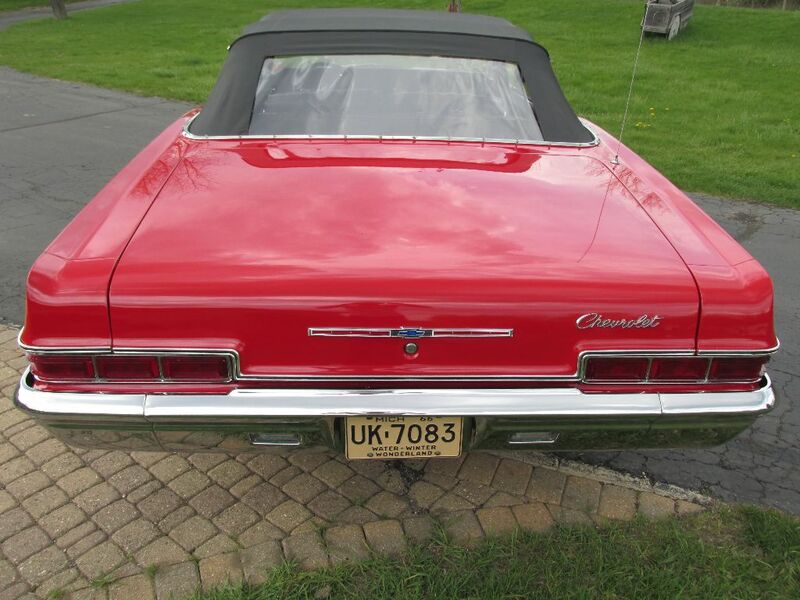 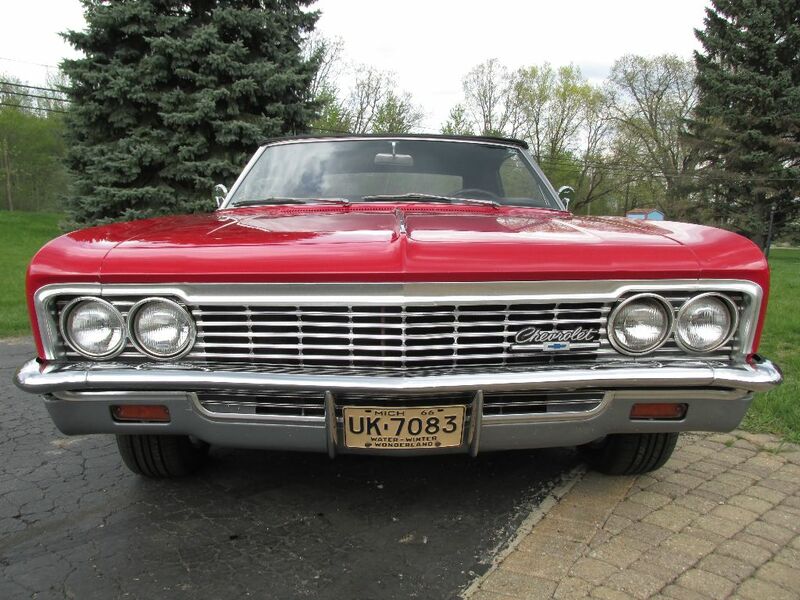 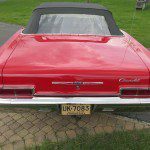 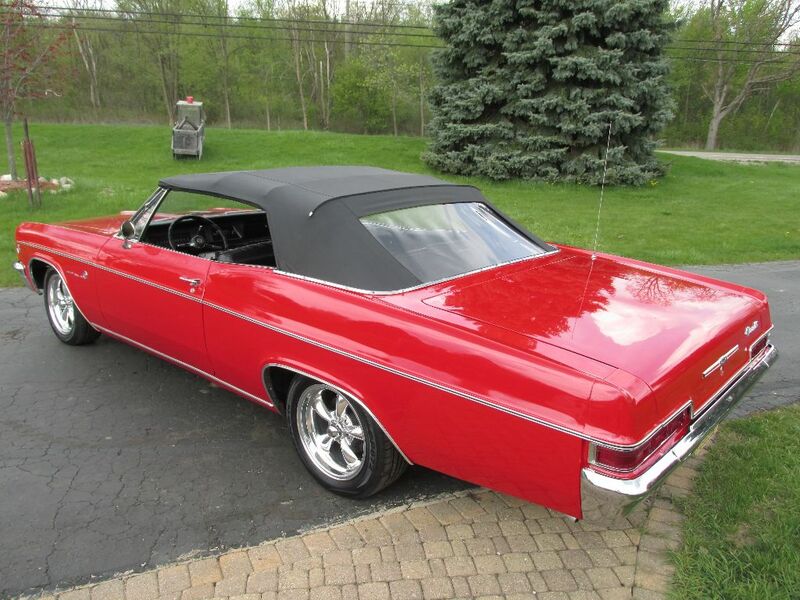 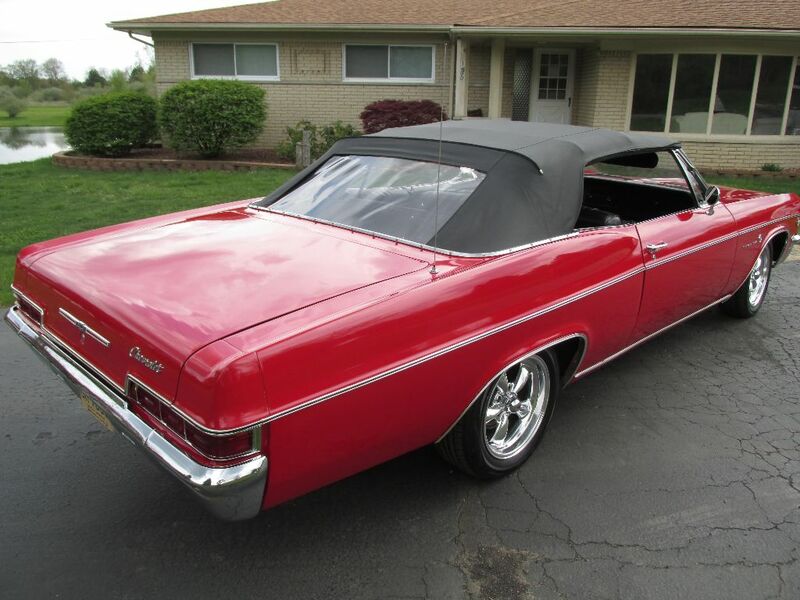 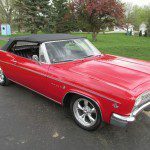 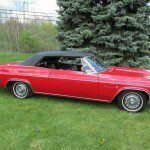 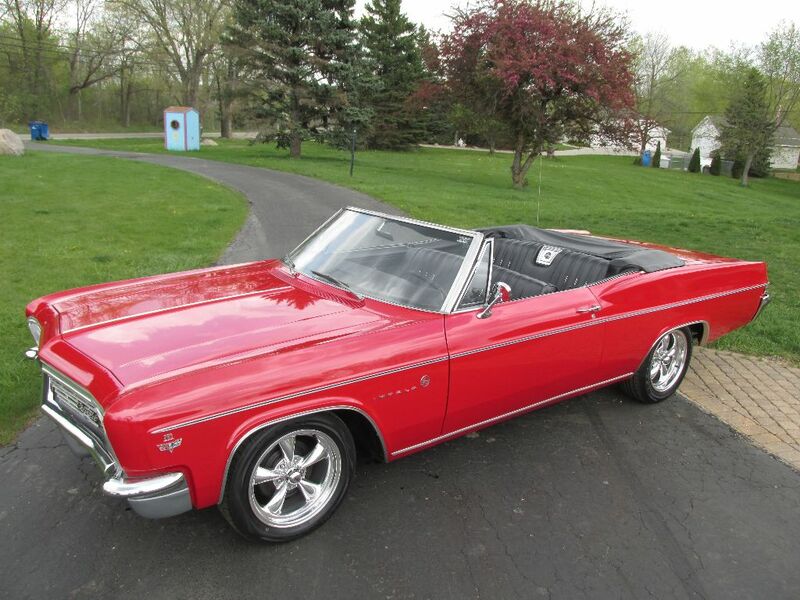 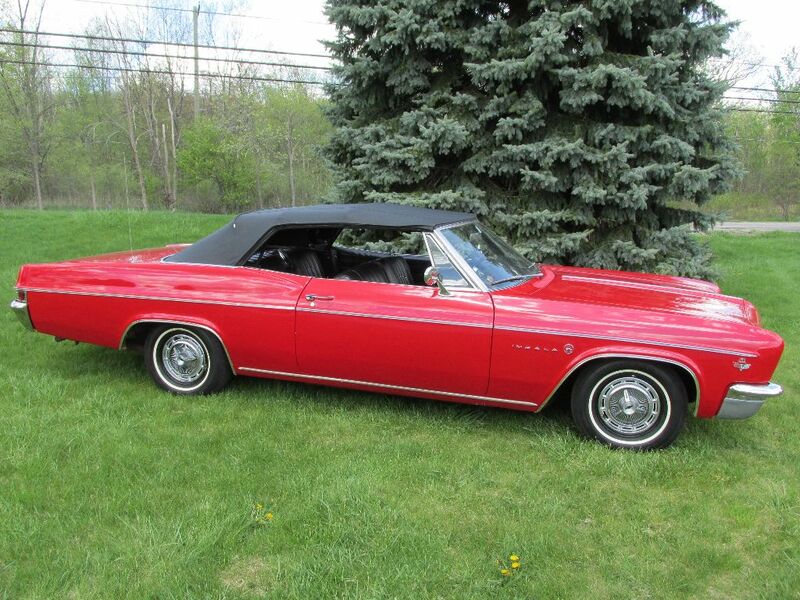 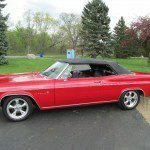 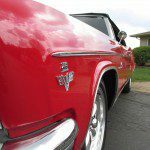 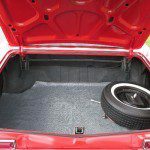 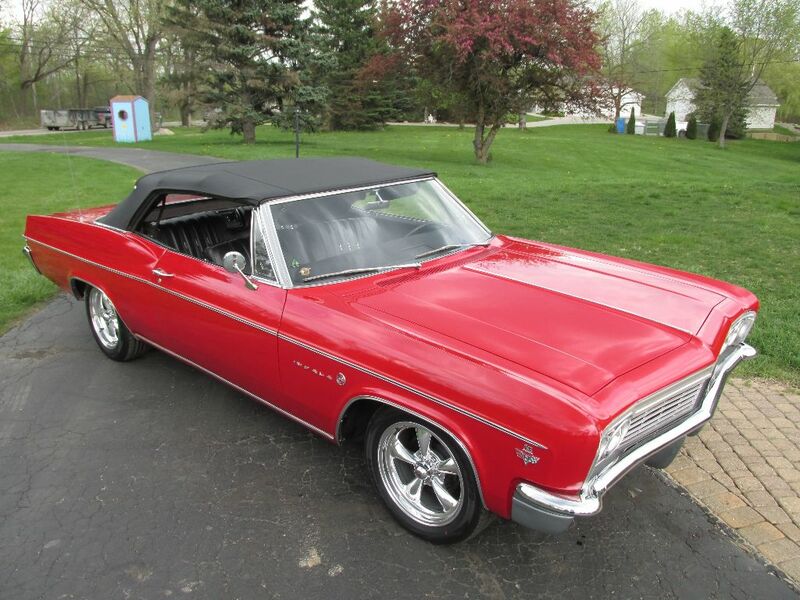 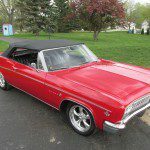 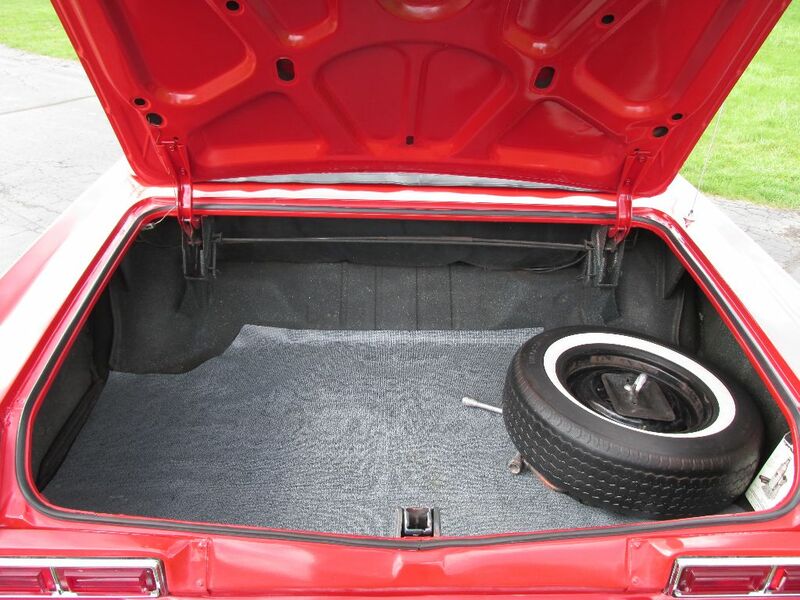 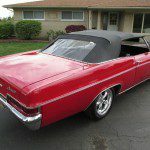 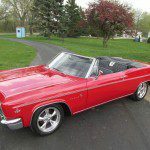 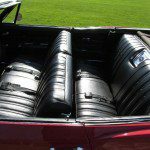 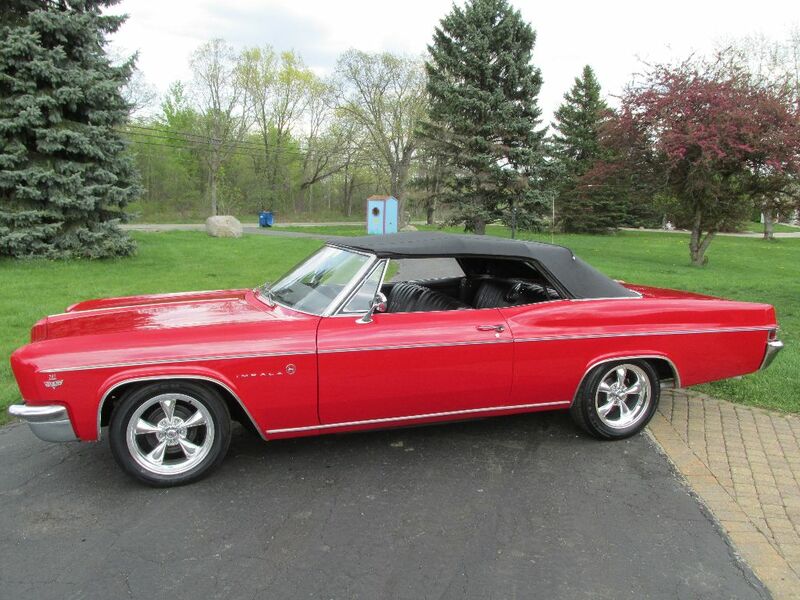 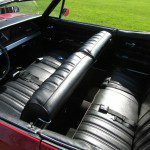 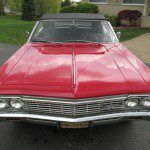 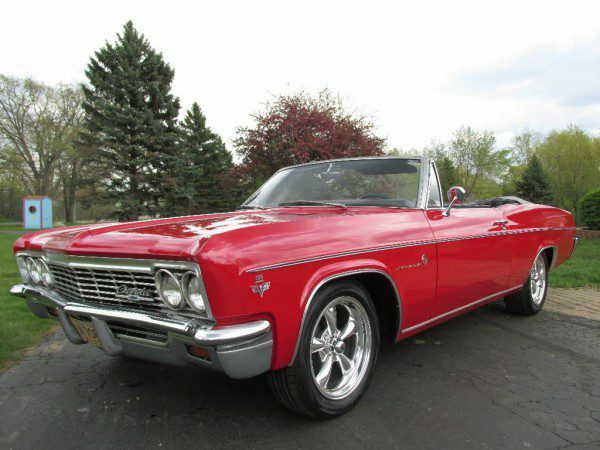 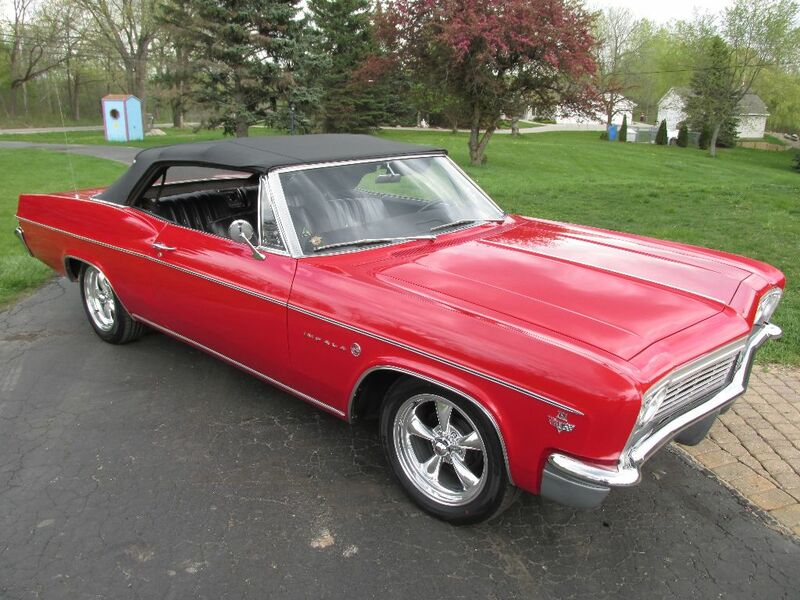 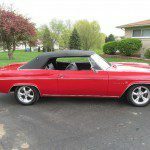 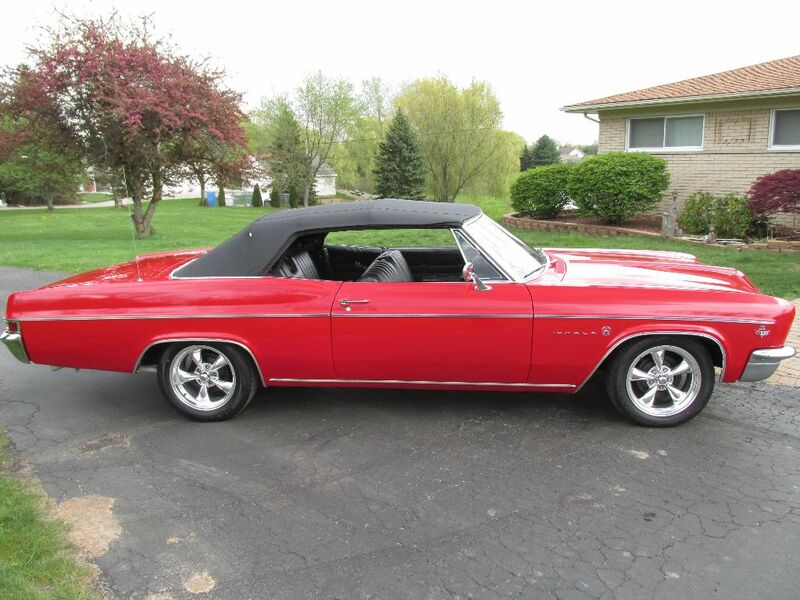 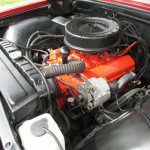 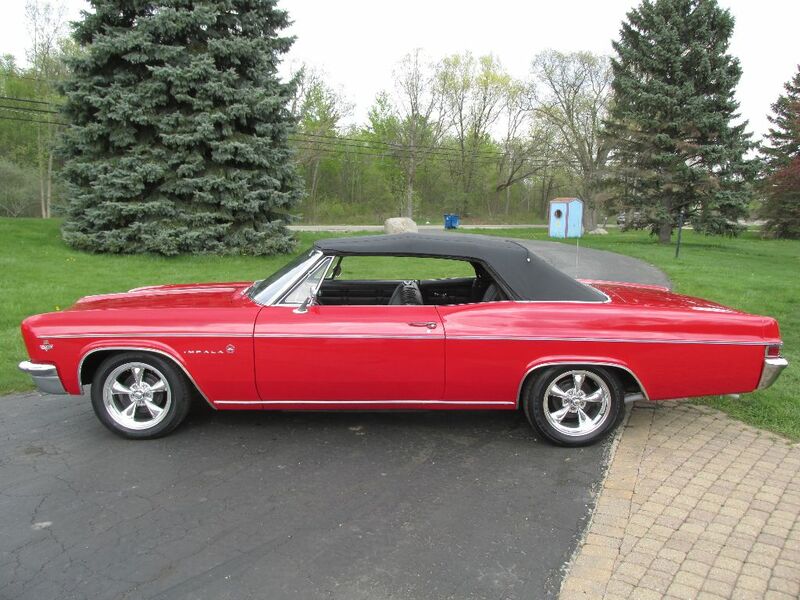 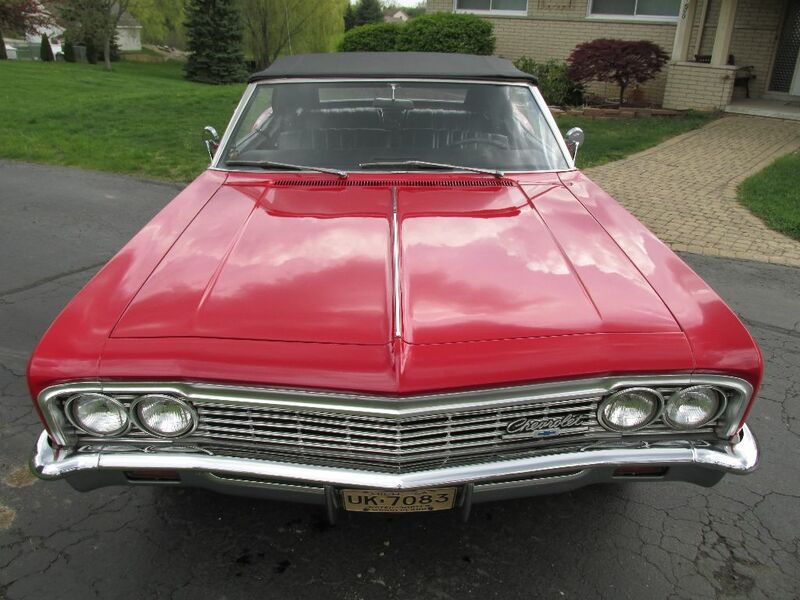 1966 Impala Convertible, all numbers matching 283ci motor with a 2 speed power glide trans. 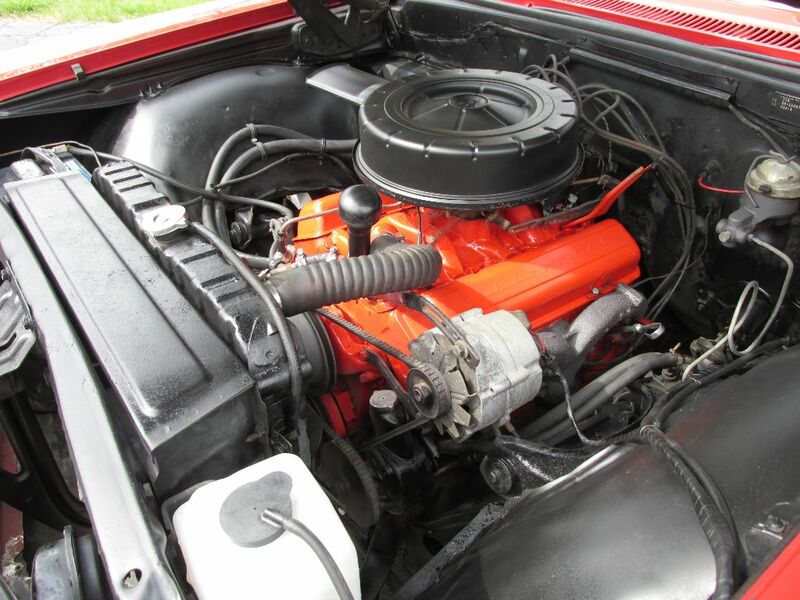 Under the hood is original/factory looking. 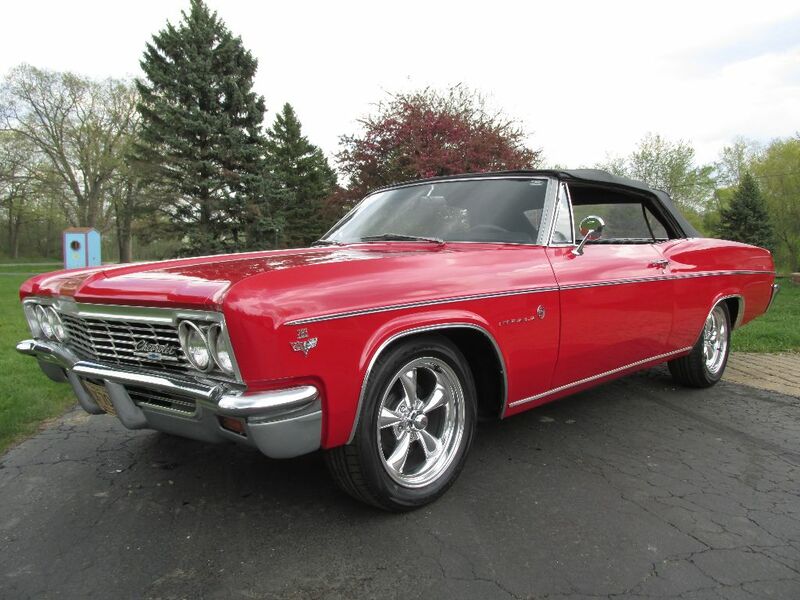 Factory P/S. 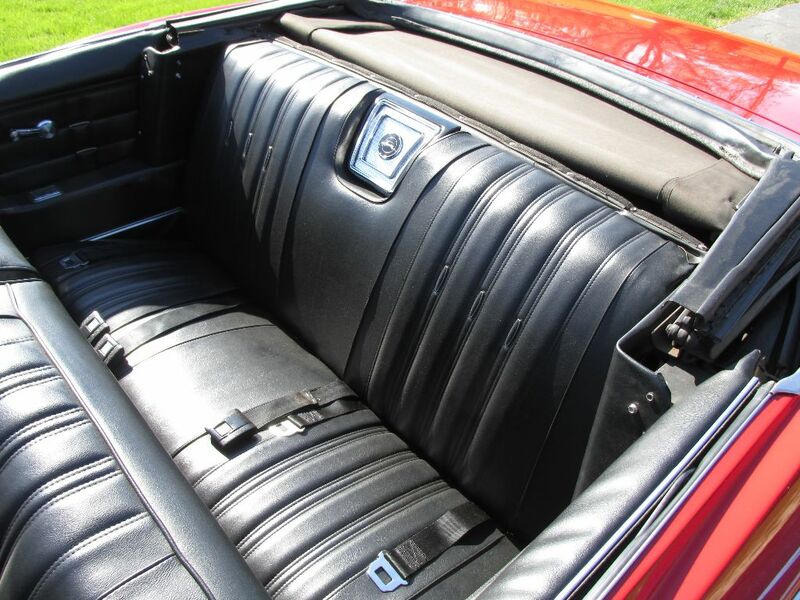 Factory Style dual exhaust. 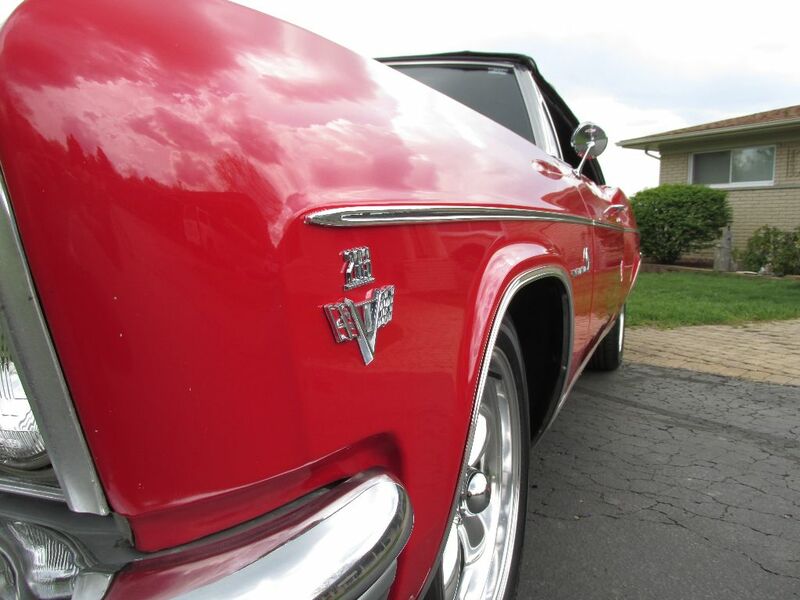 Exterior is all original rust free panels and floors. 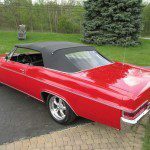 Arrow straight car painted basecoat/clearcoat a Beautiful Victory Red with a Black power top. 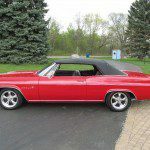 Top is in great condition, no rips or tears and has a clear rear window.All exterior chrome and stainless is in excellent condition with the exception of grill has a couple small dings. 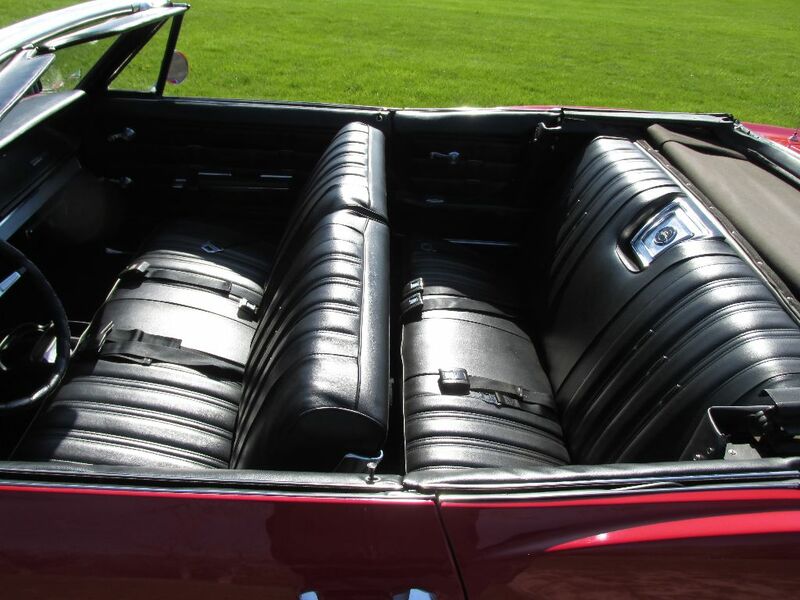 Dual exterior mirrors. 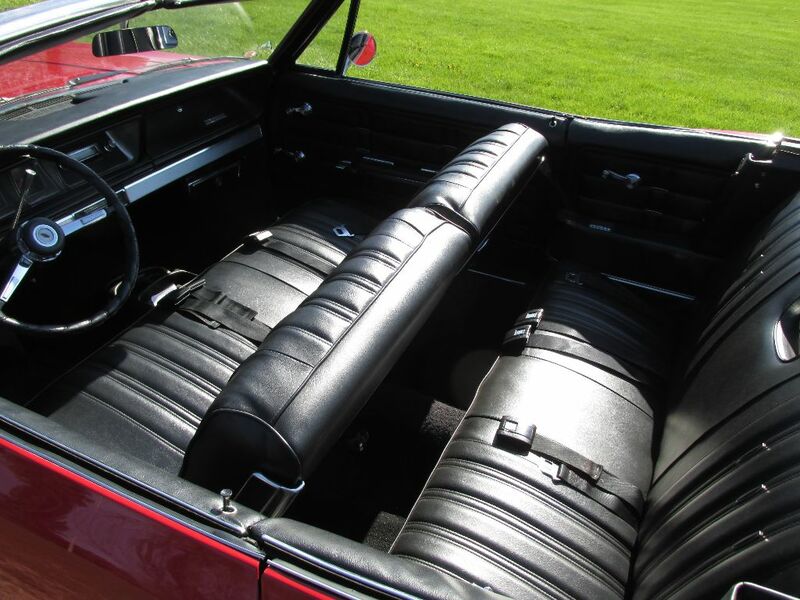 Factory Black Vinyl Interior is Excellent Shape, Nicely equipped interior with Power Bench Seat, Tilt telescopic Steering column, under dash Tissue box, working AM radio. 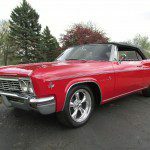 Have original 14 inch Wheels and Hubcaps with almost new white wall tires or Brand New 17 inch REV Torque Thrust Polished aluminum wheels with 215/55 tires in front and 235/55 tires in rear. 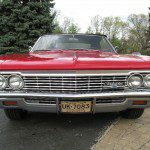 This car runs and Drives great and everything works.